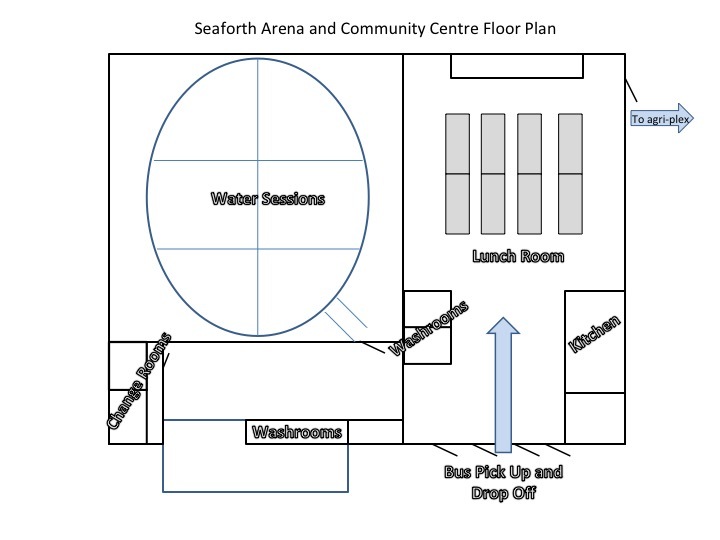 The Water portion of the festival will be held in the Seaforth arena. 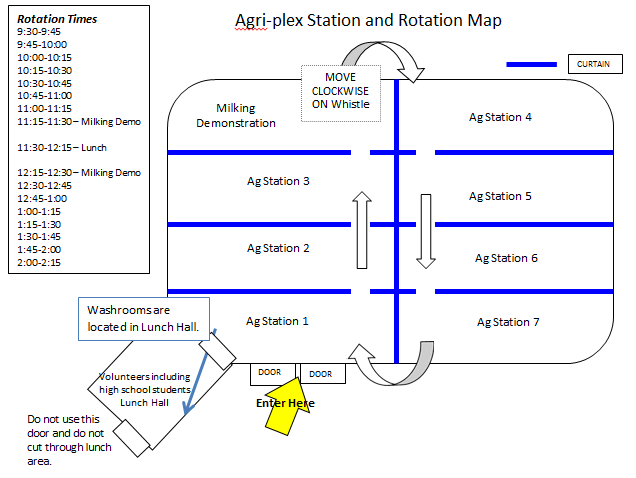 Rotation times are tentative and rotation map is subject to change. 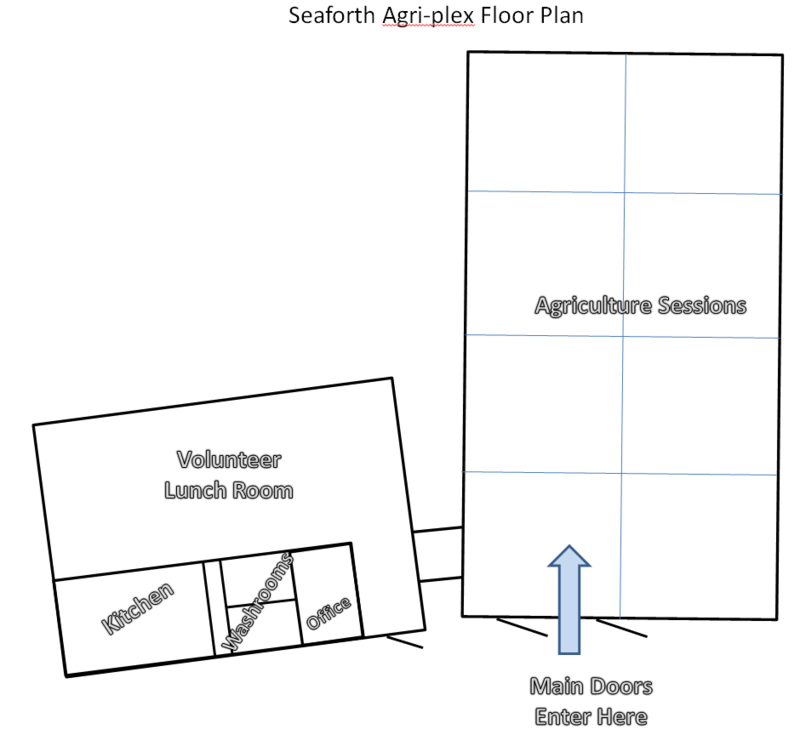 The Agricultural portion of the festival will be held in the Seaforth agri-plex. 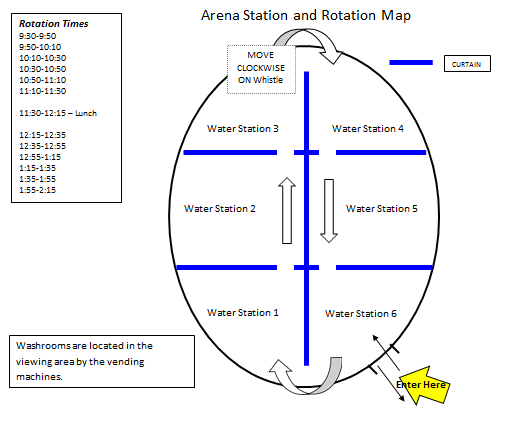 Floor plans for the arena and agri-plex are below.